Maybelline Forever Strong Pro - Lilac Charm - Charmed I'm sure! Another day, another nail polish and this one's a beauty! 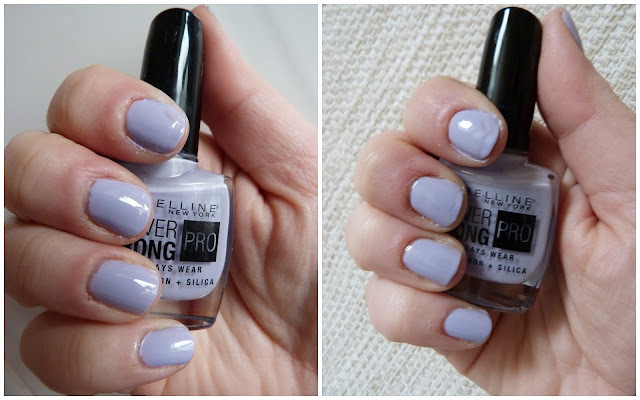 New from Maybelline, as part of their Forever Strong Pro range, comes the most gorgeous lilac shade, aptly named Lilac Charm. €5.99 will get you a bottle of nail polish that is so hard to photograph because it looks different in all kinds of light! One coat gives you plenty of opacity but I can't just do one coat of polish, no reason why. It just feels weird to me. So this is two coats for you. Just look at the four photos below. It looks different in every one and even now as I look at my nails, it looks different again! If I had to pick one, it looks like the top left photo the most right now. The formula is thick and easy to apply and the rounded brush tip makes application a doddle. As I change my nail polish so often, I can't comment on the wear time, but Emma over on Fluff and Fripperies said she got a fantastic seven days out of her manicure! I'm liking the lilac! I've another polish from the range to show you soon that the brand also sent to me and have my eye on the shade Ceramic Blue. I love blue polishes in summer! 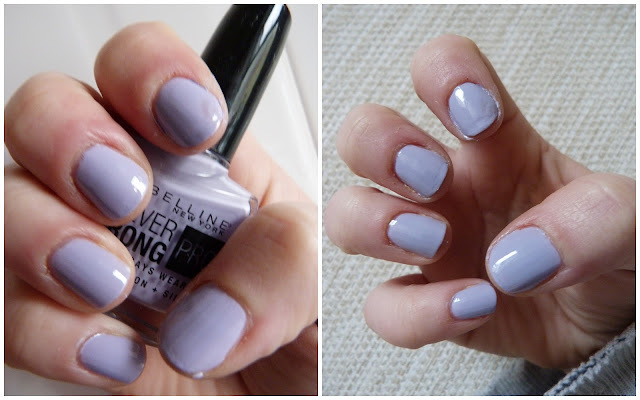 Do you likey the lilac?